NIA CHARLESTOWN NEVIS (June 23, 2015) –The Global Environment Facility (GEF) Small Grant Programme, in collaboration with the Nevis Island Administration (NIA) and the Newcastle Pottery Co-operative Society Ltd. are hosting a six-week pottery-making workshop, at the Newcastle Pottery under the theme “Improving Pottery Making in the 21st Century”. The workshop began June18, 2015. Supervisor in the Department of Co-operatives Joalyn Myers-O’garro at an opening ceremony prior to the workshop, said although pottery still has a vibrant market with tourist and local hotels, the art form was fading out on the island. “With the advent of technology came the gas and electric stove, plastic flower pots, cheap factory made ornaments and inexpensive aluminium pots, as a result the pottery making art is dying,” she said. 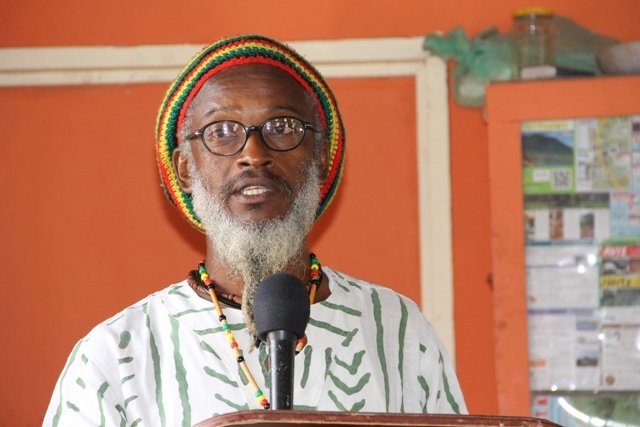 Myers-O’Garro expressed that the Newcastle Co-operative embarked on the pottery making workshop not only to the keep culture and art alive but also because it is a profitable business venture. 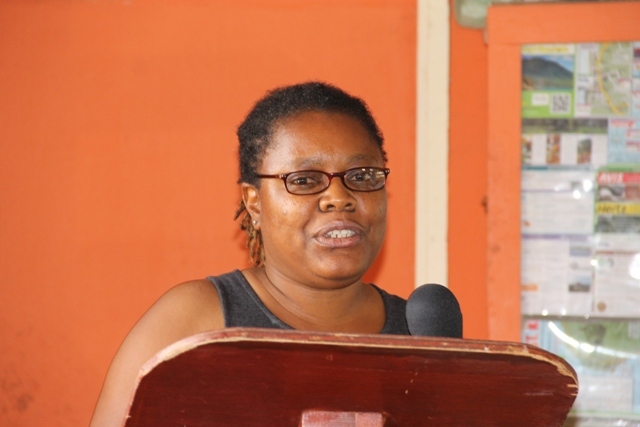 Global Environment Facility (GEF) Representative in St. Kitts and Nevis Ilis Watts explained what GEF was about as a regional and international organization. “We provide funding for only groups…organizations, faith-based organizations, community groups, Non-Government Organizations, service leagues and national trusts. These are the groups we target,” she said. Watts went on to add that the pottery workshop is one of seven projects approved by GEF on Nevis, with a total value $US 420,000. 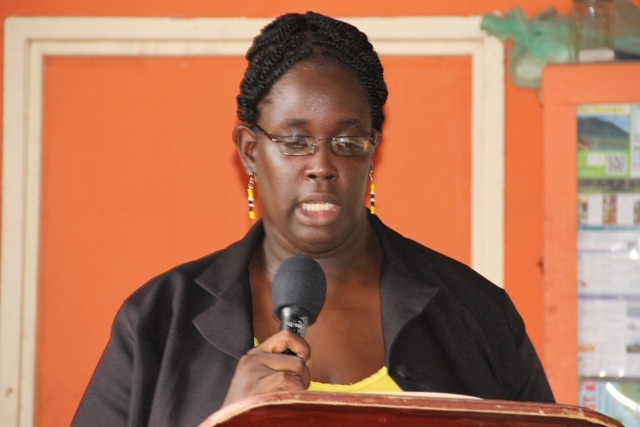 Minister of Co-operatives Alexis Jeffers spoke on the importance of co-operatives. 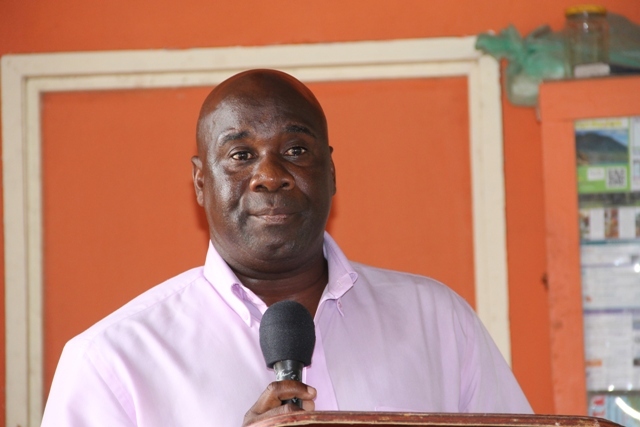 “Leadership skills can be gained through co-operatives…Persons are given a chance to lead or to be president or a prominent leader in these co-operatives which can certainly have a tremendous impact or rippling effects throughout the community and throughout the island,” he said. He added that the workshop was significant to the future of pottery making on Nevis. 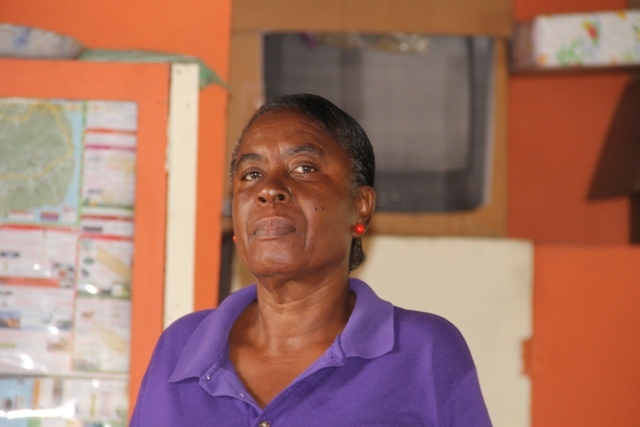 Manager of the Newcastle Pottery and facilitator of the workshop Almena Cornelius expressed that she was pleased to see that there were persons interested in carrying on the art form of pottery making. Cornelius also went on to give an overview of the workshop. “We will go on the site for the clay digging and then from there, we would start inside by soaking the clay…we would work on the tables or probably on the benches in making pots. We know at first they [participants] cannot make a pot, so we will start with something very simple so that they can catch on,” she said. Members of the One Love Rastafari Movement are all participants of the workshop. Ras I-Roy gave remarks on behalf of the group. He said the Movement held the art and products of pottery making near and dear to their hearts, for it played a major part in their African heritage.